Today I received the loveliest photos from Lexy Gillies’ mum, after I wrote to let her know that Lexy had come Third in the Grade 4 to 6 Category of my Ode to My Favourite Tree Competition. 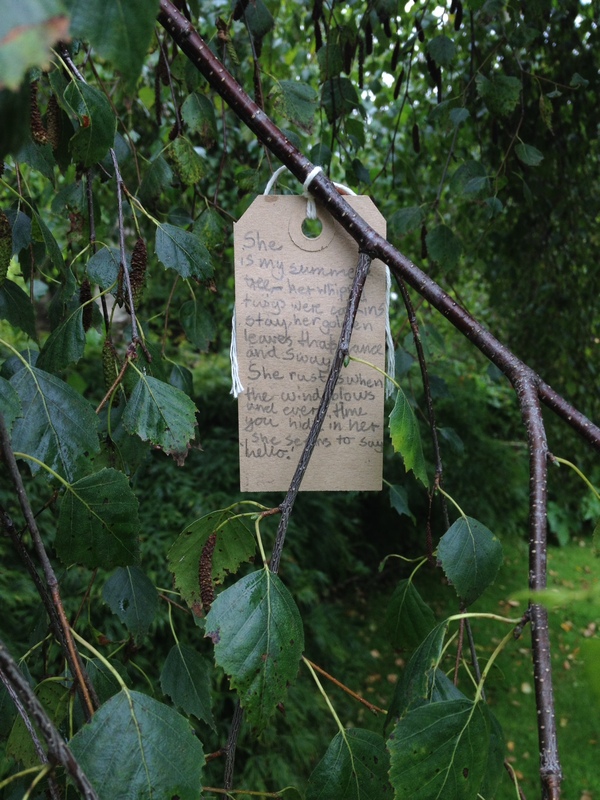 Lexy wrote a beautiful poem about her Weeping Birch tree – and here it is! 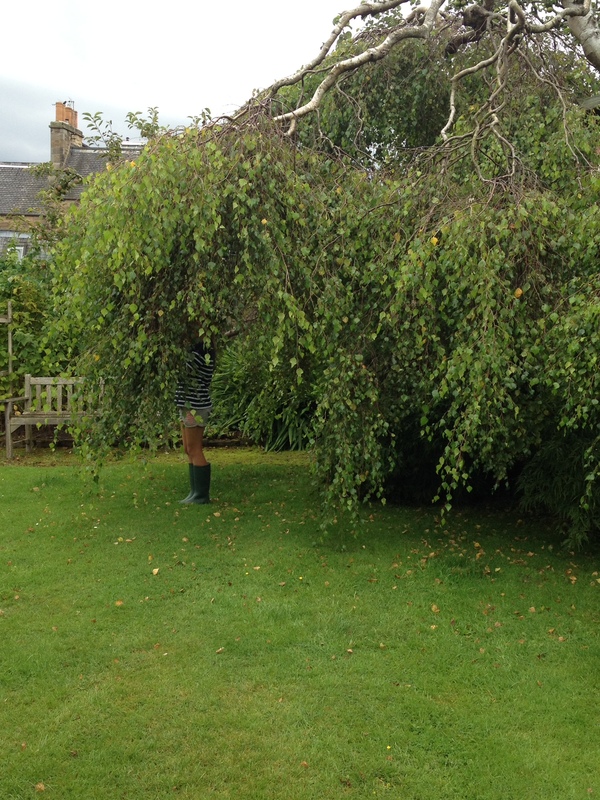 You can just see Lexy hiding in its branches (on the left) and the poem which Lexy wrote on the right! What a perfect place to hang a poem!